You Pay No Fees. You Owe No Commissions. You Get ALL CASH In Your Pocket And Fast Closing. You’ll Get A Fair Offer And Freedom To Choose The Closing Date. We Pay ALL Costs! But the reality is, we are HAPPY to help you get rid of that nightmare property that’s causing you stress. If you want to get your Ahwatukee house off your hands, and sell it NOW… we’re ready to give you a fair all-cash offer and start the process on your timeline. No more late nights, no more crunching numbers, no more praying for a buyer (or a miracle). Let us buy your Ahwatukee property now, regardless of condition. Life has a pretty bad knack for throwing us a curveball when we’re least prepared…divorce, death of a loved one, pre-foreclosure, moving on short notice — we’re describing some of life’s most extreme, emotional, and difficult challenges. There is NO REASON that you should need to ADD STRESS with an unwanted (and expensive) property through any of those scenarios. We’re ready to take the house off your hands so you can focus on what really matters: taking care of yourself and your family and finally moving on. We Buy Houses Anywhere In Ahwatukee And Other Parts Of The Valley, And In Any Price Range And Condition. Check Out How Our Process Works. Avoiding foreclosure? Facing divorce? Moving? Upside down in your mortgage? Liens? It doesn’t matter whether you live in the house, you rent it out, it’s vacant, or it’s not even habitable. We buy Ahwatukee houses in any condition for cash, and we’ll be there with you every step of the way to get this property off your hands. We help owners who have inherited an unwanted property, own a vacant house, are behind on payments, owe liens, downsized and can’t sell We’re even ready to step in if the house needs repairs that you can’t pay for…and yes, even if the house is fire damaged or has bad rental tenants. Managing, paying for, and trying to sell an unwanted property is a stress that NOBODY needs — especially not in the middle of a life crisis. Stop spending energy and money exhausting all other options — we can help, and we can start as soon as you’re ready. Do You Need To Sell Your House in Ahwatukee, AZ? We can buy your Ahwatukee house. Even if an agent can’t sell your house, we can get this property off your hands. Agents can be helpful, but a lot of people overestimate their usefulness and underestimate the hassle that comes along with them. In fact, there are A LOT of scenarios where using an agent just doesn’t make sense. Contact us today at 602-388-8716 –we’ll know very quickly if we can help you. Best of all, unlike selling through an agent, you don’t have to wait to see if the buyer can get financing… we’re ready to buy right now! A lot of people choose to sell through an agent because they think it will alleviate stress. The simple fact of the matter is that, many times, working with an agent ADDS and even CREATES unnecessary stress. Selling through an agent typically adds weeks or even months to your timeline, and even the most affordable agents end up costing more than you expect when it’s all said and done. Many sellers are devastated when, after months of repairs, waiting, and hoping, they finally come out of the sale with little to no profit. Selling Property Is A Hassle Under The Best Conditions. When you’re up against divorce, death, foreclosure, or any number of other life hardships — DON’T add more stress to your plate. 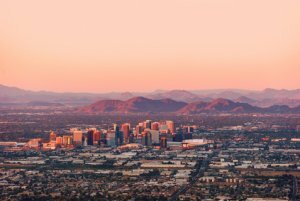 We’ll buy your house in Arizona, including Ahwatukee and the surrounding areas. Still not sure? That’s okay. You have a lot of options and selling your property is a big undertaking. We’re here to earn your trust. We’re a local company and, unlike real estate agents, our goal isn’t to make a commission. The BEST outcome for us is a win-win scenario for you. That means no fees, no mountains of paperwork, no waiting, and no anxiety for you. Ready to be done and get this house off your hands? Call us today at 602-388-8716. We’ll take you through every step of the process as quickly (or as slowly!) as you want.